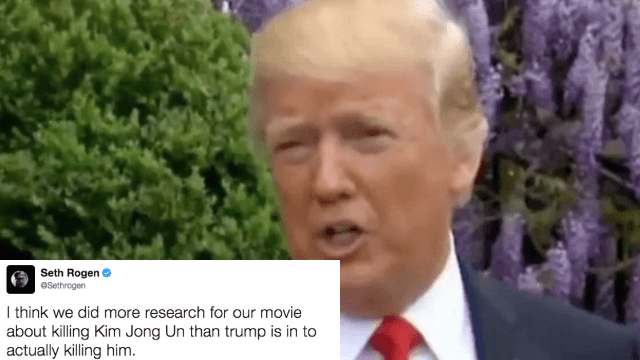 It seems like Donald Trump might not know who the leader of North Korea is. In an interview that aired on Fox and Friends Tuesday morning, which Donald Trump surprisingly wasn't live-tweeting himself, the president answered questions about the current situation with North Korea. Not only does Donald Trump not know what the plan is, it's also possible he doesn't know who is in charge over there. Trump said that two of his predecessors, Bill Clinton and Barack Obama, have "all been outplayed by this gentleman." "This gentleman" likely refers to the current dictator Kim Jong-Un, who has been in charge since the 2011 death of his father, Kim Jong Il. Bill Clinton, who was president from 1993-2000, was outsmarted by "this gentleman's" father, who is a different person. People would like the President of the United States to be more specific when discussing foreign adversaries, or at least do a little more research. If his threatening tweets are any indication, it looks like he'll sure find out who's in charge.